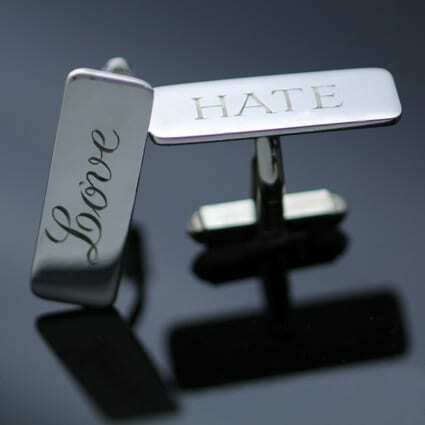 ‘Love Hate’ offers a stylish accessory, designed with a healthy dash of sartorial wit to create a playful cufflink designed for the modern man. 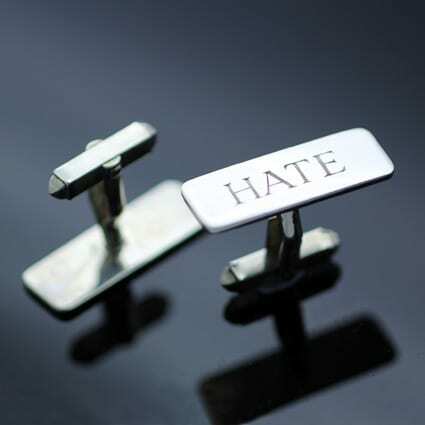 A beautiful pair of handmade solid 925 Sterling Silver cufflinks, designed in a minimal bar shape and adorned with stylish hand engraved ‘Love’ and ‘Hate’ statements in coordinating contemporary fonts. These cufflinks have been constructed with care and expertise to ensure the piece is suitable for daily wear. 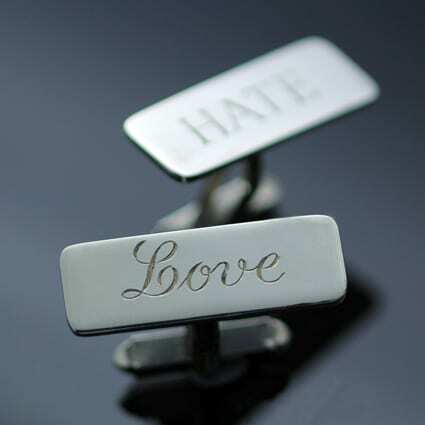 This style of cufflink can be personalised to create your own special message or statement, creating a unique piece of jewellery for him. These contemporary cufflinks bear Julian Stephens exclusive maker’s mark and are fully Hallmarked as an indication of the precious materials and expert construction used to create this design.